Today (Thursday) I had the whole day to myself, I was excited for this day as the week leading up to this day was really hectic and full of so many things. Its important for me to have a day where I can reflect and be of self care. Unfortunately today was not one of those days, today was one of those days that got away from me without any warning. Today was one of those days where all the hope in resting and having a day for me was far from what it was. Today was a day where I ended up doing for others and the more and more I sat with that, the more I realized none of the self care I was hoping for and longing for was not going to happen; hence this is the reason why I am writing my 31 Days post late. Self care and having a day for myself is very important for the busyness of my life. I am trying more and more to give myself those days and realize just how important it is for me to make those days happen. So, as I sit here and reflect on the day and what it wasn’t, maybe I can think about what it WAS, and that is: a day of being supported, loved and cared for. I have amazing people in my life. I have an amazing husband, amazing kids, friends, I have an amazing GOD who never gives up on me. I have an amazing therapist who I worked so hard with on this amazing journey of healing. I have the ability to write for 31 days and connect with other great blog writers. I am connected even though the day got away from me and I didn’t get to do the things I wanted to do – but having the choice to turn that around and make the day what i want it to be. I have the ability to make the day that didn’t work out a new day; a new day of making the best of the time that is here and making it a day of self love. 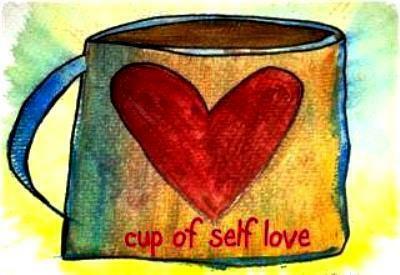 I am connecting on this day 2 …..just remember how important self care and self love is, no matter what that looks like. Give yourself time to be you and reflect on that in ways outside of your busy life. I am also using this post to link up with Five Minute Friday on the word NEW!